While driving anywhere in town is just a short 15 minute trip, sometimes you just don’t want to be the one behind the wheel. 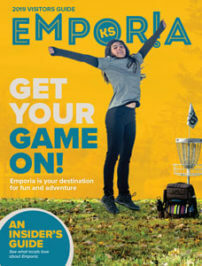 Emporia has a variety of transportation options that can be tailored to fit your specific need. Birthday party, bachelorette party, wedding party, a ride from the airport or even a way back to your hotel after an evening social event, let us help you figure out the logistics so you can relax and enjoy all that Emporia has to offer!